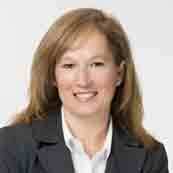 Ms. Manzo is a shareholder in the law firm of Lindabury, McCormick, Estabrook & Cooper, P.C. in Westfield, New Jersey. She practices in the firm's trusts and estates and employee benefits groups and has significant experience advising employers, trade associations, apprenticeship programs and employees regarding the impact of medical and recreational marijuana laws on business and employment. The law firm serves as legal counsel to over 70 collectively bargained multi-employer benefit funds, primarily in the construction trades. As legal counsel to the funds, Ms. Manzo has advised on matters involving plan qualification and design, fiduciary responsibility, prohibited transactions, Department of Labor/Internal Revenue Service (DOL/IRS) reporting and compliance issues, as well as statutory and regulatory developments affecting employee benefit plans. She also serves, by appointment from a national trade association, as independent professional trustee, on the side of management, on several large multi-employer trust funds. She is admitted to practice before the New Jersey Supreme Court, the United States District Court for the District of New Jersey and the United States Court of Appeals for the Third Circuit. Not to be missed discussion about one of the hottest topics in New Jersey. Learn everything about the state's marijuana legislation, employment concerns, and cannabis industry.